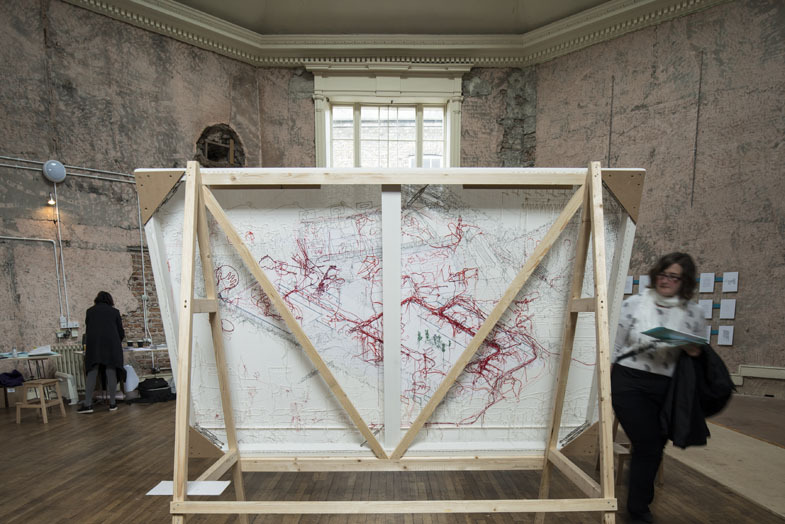 Linen Union fabric on wooden stretcher overlaid with machine- and hand-stitched drawing elements in cotton, polyester and wool yarns. 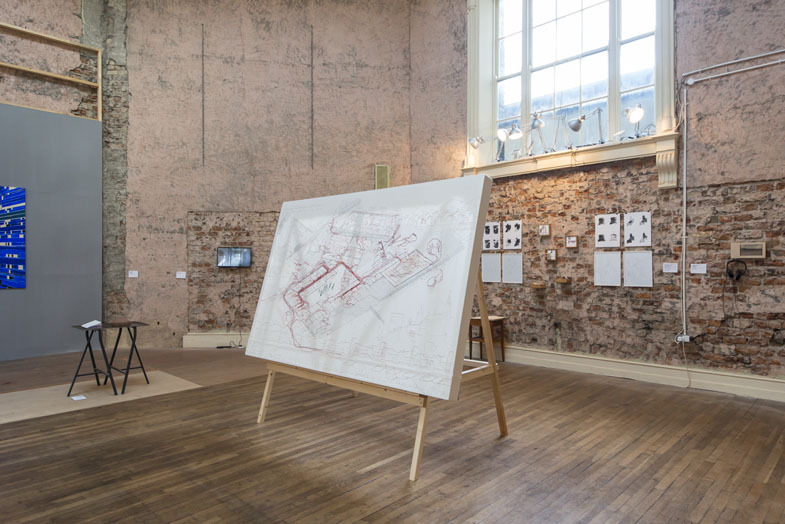 LiD Architecture, Deirdre Harte, Brian Cregan & Nenagh College Students – Shannon Sweeney, Ciara Bull, Joe Kitson, Janina Kennedy, Eric Gleeson, Eoghan Tuttlebee, Sandra Boland, Shannon Mostert, Chloe Meany & Kia Hynes. 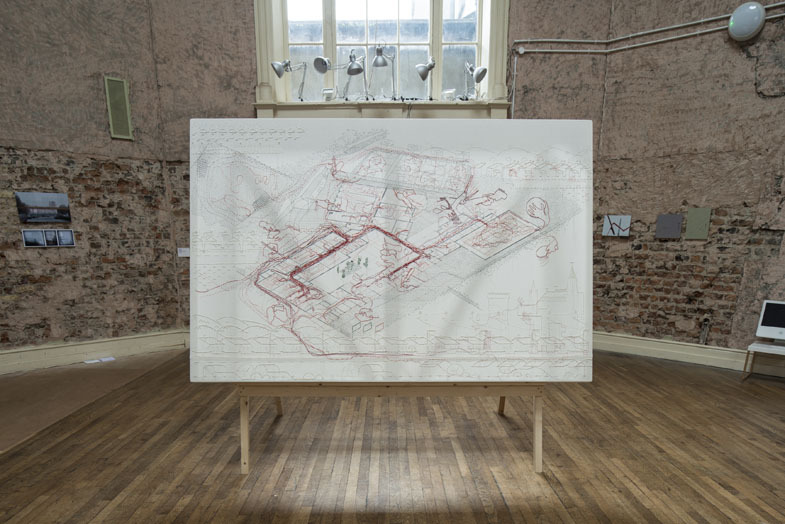 The ‘Nenagh College Mapestry’ – a Per Cent for Art commission – is a dynamic depiction of the “life” of the school as interwoven with the building and its context. 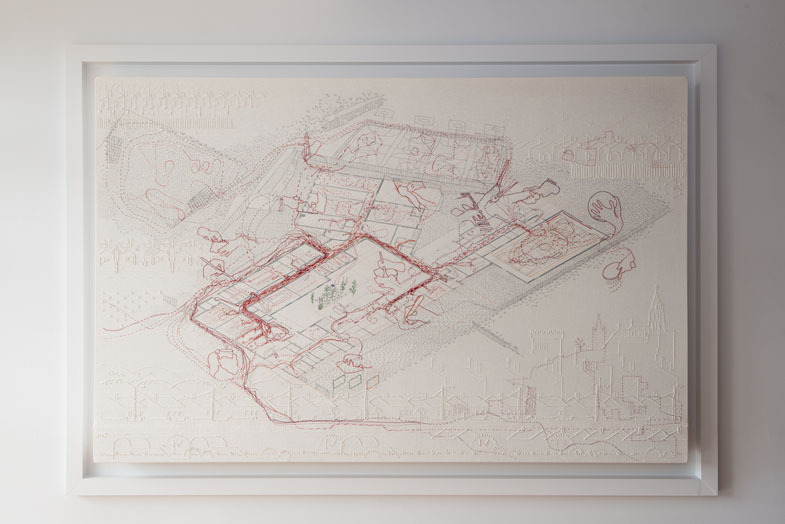 A hybrid plan of the school overlaid with stitched representations of its use: the journeys of students and staff in the course of a typical day mapped in terms of route and character of movement; the diversity of subject areas evoked through depictions of manual activities; the atmosphere of the urban, landscape and site surroundings illustrated through student experience‐based mental mapping. 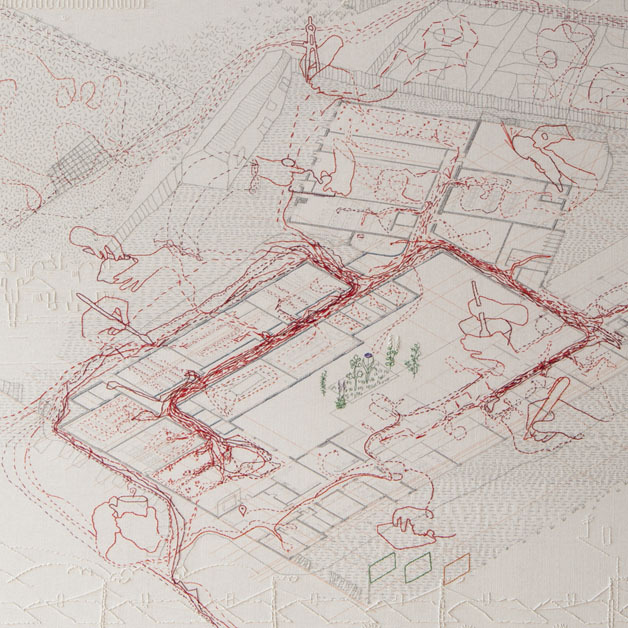 The work was developed through process-led student participation in conceptual drawing, modelling, and stitching exercises. 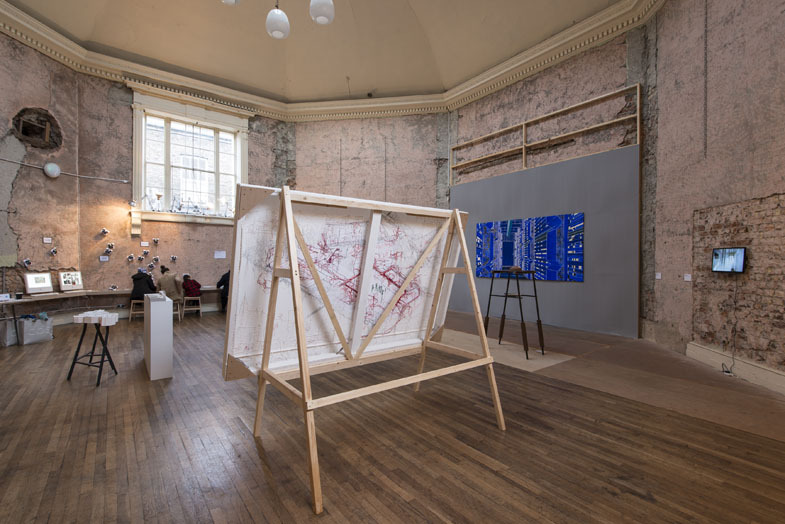 A stitched drawing was the chosen medium to represent the investigations and development of ideas as it facilitated a range of involvement and participation and provided an opportunity to acquire new skills in an open and social atmosphere. 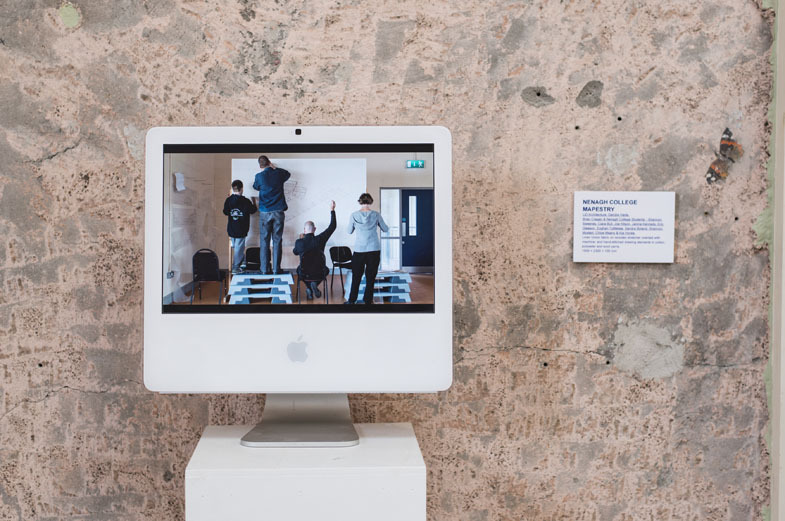 The project team has an ongoing goal to explore the connection between practice and context within social situations. This practice occurs in two forms: inquiry and activity. Participatory art is by its very nature collaborative. 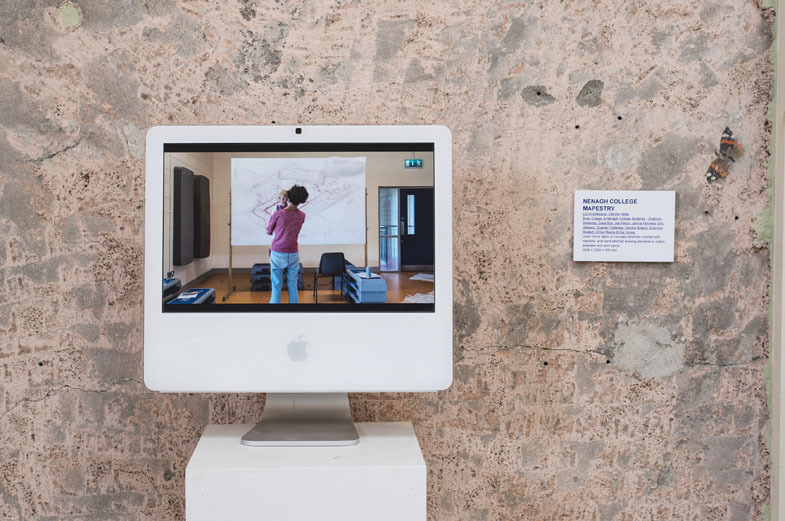 Each individual becomes immersed directly in the creative process and becomes co‐author, -observer, and -editor of the work. 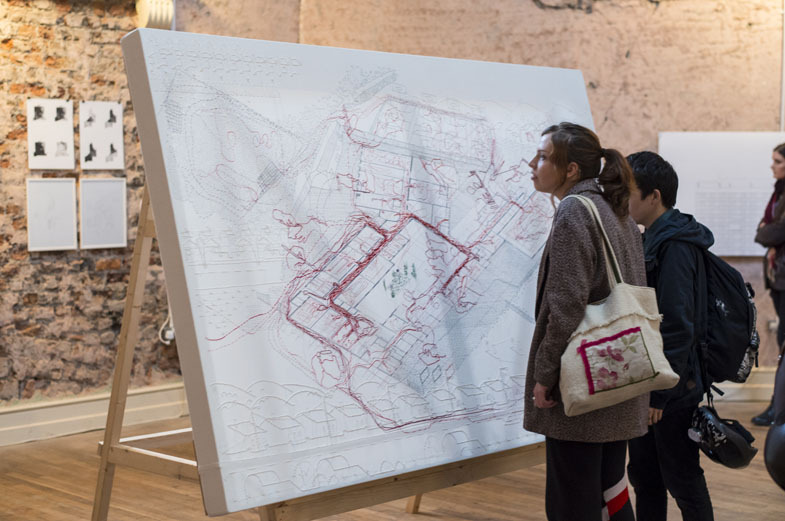 The skills of the architect and artist combined with the creative drive of the participant’s produces an experience – and an artwork – that is more than the sum of its parts. 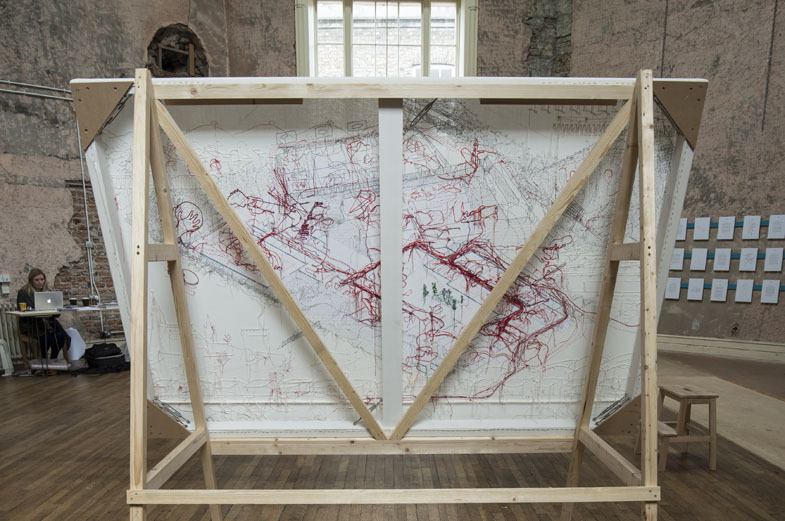 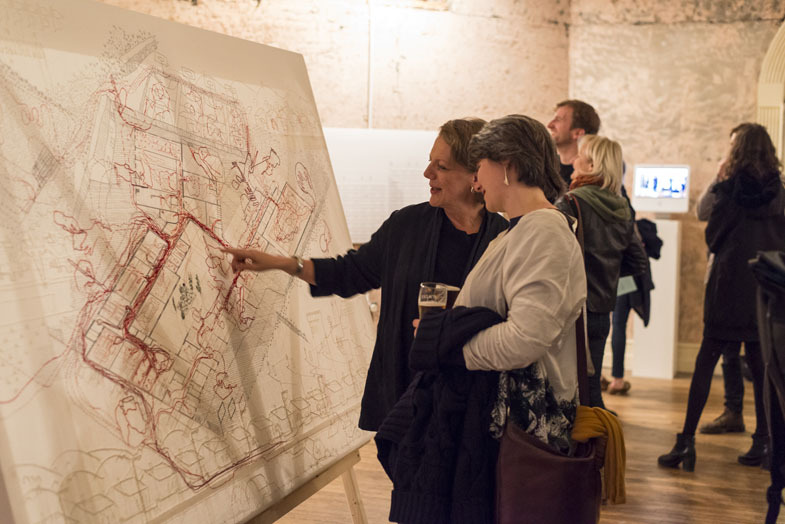 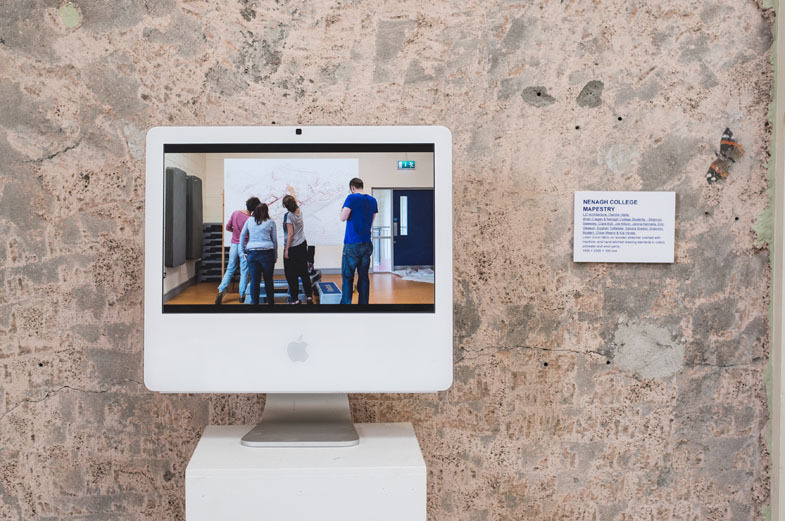 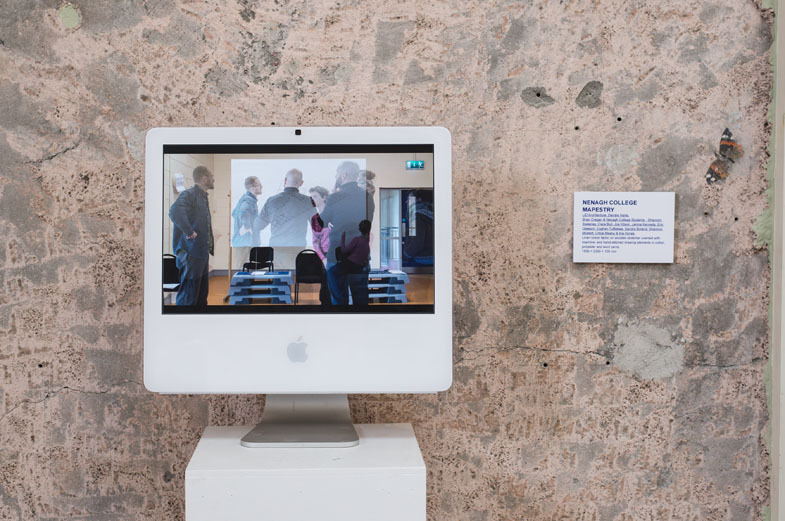 The project team comprised LiD Architecture, Deirdre Harte (textile artist), and Brian Cregan (photographer) and builds on previous working relationships – such as for the “Mapestry” project for the Commonage Callan Workhouse Assembly 2013. 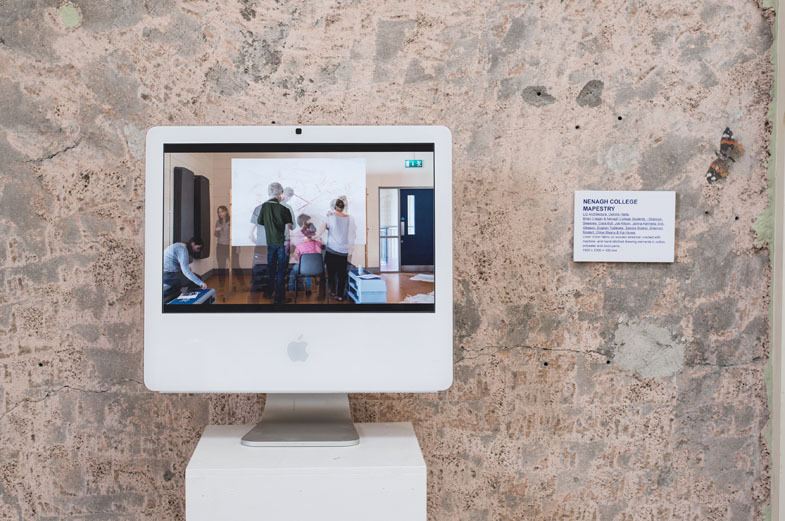 The team engages in inclusive and participatory art/architecture development processes in a range of scales and media in order to understand and enhance the experience of people and their relationship to the built environment.